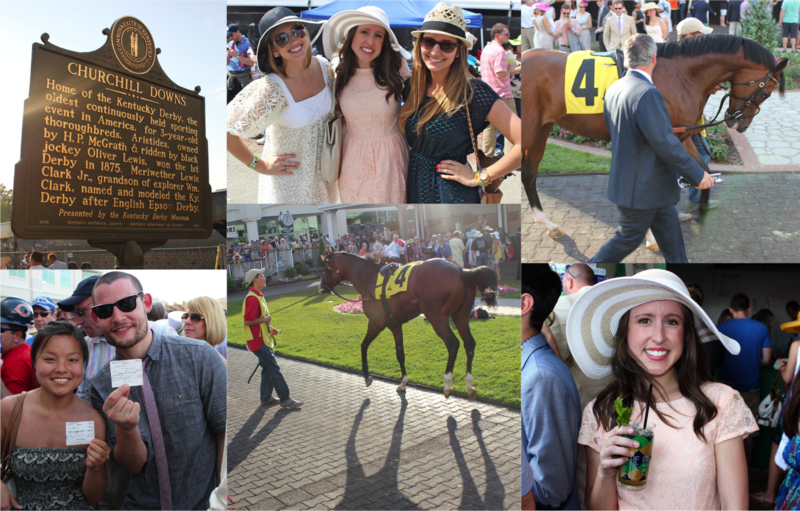 Saturday at the Kentucky Derby was quite the experience. After a 30 minute ride on the public bus for $1.50, and some raucous group sing-alongs, we arrived at Chruchill Downs for the big event. $50 admission, a $11 mint julep, and some money lost at the wagering windows was totally worth seeing all of the beautiful and wacky people (over 165,000 in attendance! ), watching the horses, and having 2 minutes of hope as "my" horse galloped around the track. I didn't win big, but I am so happy to have gotten a chance to attend the "Derby". All in all, the races were fun, but the intense round of Catch Phrase played well past 3am with friends, might have taken the cake for most fun had in a while! Moments from the Kentucky Derby (clockwise): First time at Churchill Downs; Managed to run into friends in the infield, despite zero cell reception; watching the pretty horses parade around; drinking my first official mint julep; some of the horses were getting rowdy! ; Ty and our friend picked the Derby race winner! How was your weekend? Did you meet any famous babies? Or celebrate Cinco de Mayo? You look gorgeous! I love the back on that dress. Sounds like you had a fabulous time, how fun! It was definitely some prime people watching... too many to even take photos of! Thank you Katie, it was certainly a blast! How much fun you must have had! You dress and hat are perfect, and your man is cute as can be! You looked beautiful! I love the lace + hat. I laughed so hard when I saw the last pictures. The cinch de mayo one was the best! Your dress is so adorable. I absolutely love your dress and the way you paired it with the hat. And give my regards to the fine looking group of people in your photo- it's not often you can find a crew where everyone looks so dapper! Great post! Haha, yea... I turned into a middle schooler thinking about Hanson, and lost my good senses! Thank you lady, the sales lady said it was reversible... so I might have to try that out soon! The hat is the most fun part for sure! The dress is awesome. I like the back part of it. Of course I'm a big fan of lace too. You look so cute! I love the hat. I bet you had a great time. Oh my stars...these pics are so fun! You look PHENOMENAL in that pink dress (almost bought it for myself the other day), the back is beautiful and it's so elegant. Plus how fun to get to wear that big hat! Oh fun - horse races are so much fun, and the Derby is definitely a great place for people watching. Those hats! i am MORE than jealous. kna,dsfnk!!! SO exciting. 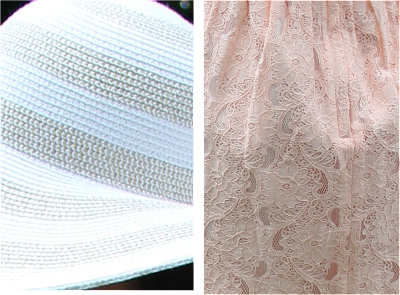 your dress and hat were PERFECT for derby - you look great - and all of the photos you took just make me want to be in your shoes. I have always wanted to go to the Derby, it looks so fun. I love the outfit you put together, that hat is amazing. Not sure I could love a dress more! That little number is FABULOUS & perfect for the Kentucky Derby (not that I've ever been but when I saw your outfit it screamed horse racing!). I absolutely love your hat too. The Derby is definitely on my bucket list. I've been to the races in Del Mar, CA a few times but the Derby is the creme de la creme! I'd just want to look at all the cool hats! HOW fun!!! You look marvelous!! I am super jealous! LOVED this post! I definitely want to attend the Derby at some point...looks like a great time! I love your dress. 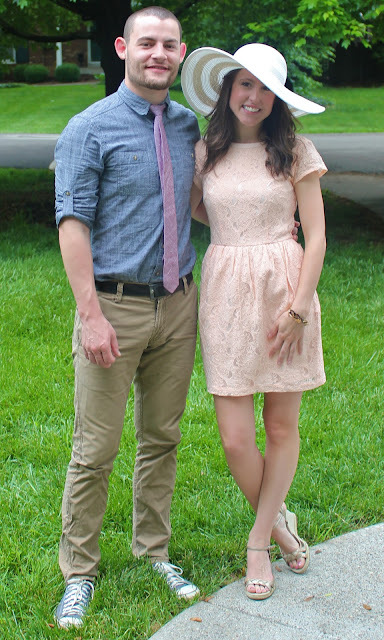 Lauren Conrad noted it as a great bridal shower dress today on her blog! I am so jealous!! Going to the Kentucky Derby is on my bucket list! It looks like so much fun and you looked adorable!! Oh yay you look soo adorable!!!!!!! I was boring this weekend! Looks like you had a blast! I LOVE THAT HAT!!!!!!!!!!! I love that hat with the simple and chic lace dress. I love big straw hats for the summer. I think I'm going to go get that one. you look amazing!! I LOVE your dress and your hat! you look beautiful! This looks like so much fun!! I love your dress and hat. That's awesome you got to go! I celebrated Cinco de Mayo, but tuned into the derby too! Jessica, you look so pretty in that lace dress and gorgeous hat! It looks like you had a great time at the derby! I hear you, I work extra hard on the weekends I am in town, so I can feel less guilt when I do find time to get out of town (but I still feel like a pretty guilty grad student not working weekends). Good luck with your last couple of assignments, and enjoy your summer off! It sounds like it was quite the experience! Your hat is gorgeous and I think if I had gone, I would have picked one just like that. I spent most of the weekend working, unfortunately, but it was worth it as I'm heading to campus in a few to hand in my last couple research assignments of the semester!